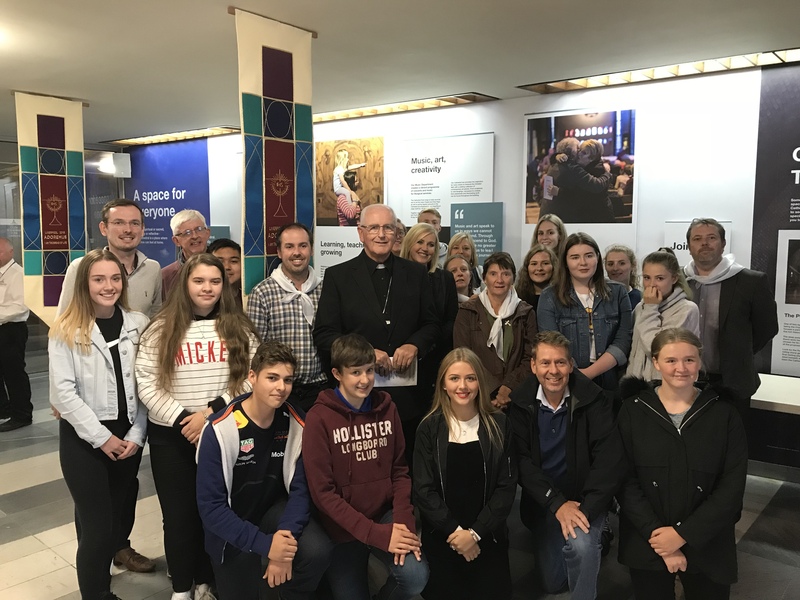 In Christ the King Cathedral: Bishop Tom with students and staff from Bishop Vaughan School Swansea, and St Joseph’s Comp Port Talbot. 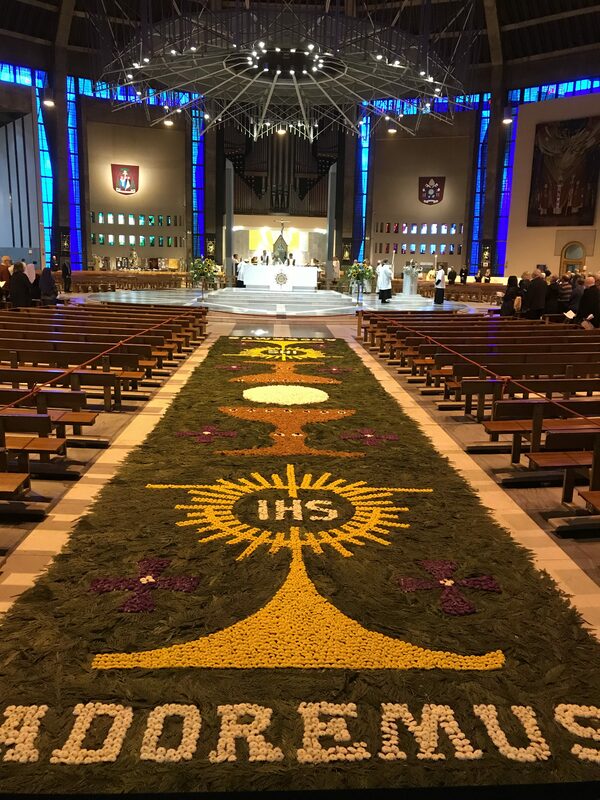 In Christ the King Cathedral: the carpet of flowers laid out along the middle aisle from the entrance door to the high altar. 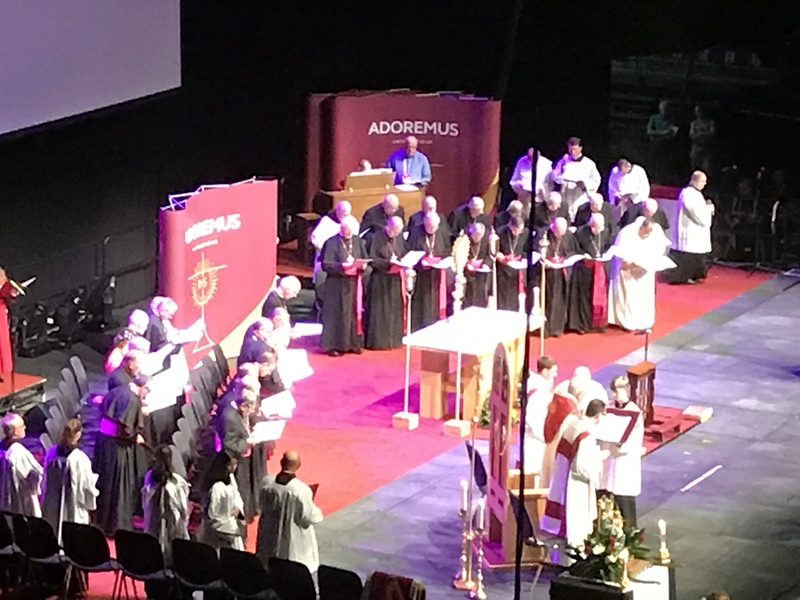 In the Liverpool Echo Arena: Cardinal Vincent Nichols leads the period of Adoration, Reflection, and Benediction, with the Bishops of England & Wales ranged in two rows behind him.